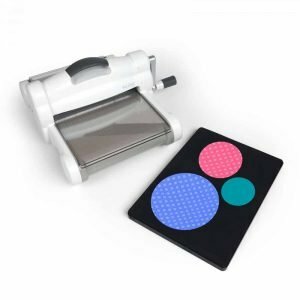 Do you love trying new things and learning new techniques? 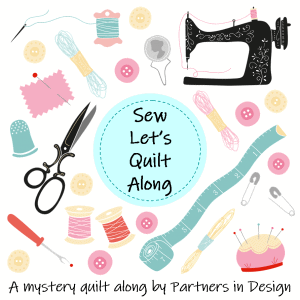 Do you want to meet some new quilty friends? Would you like to finish a Christmas quilt BEFORE Christmas? Consider joining or following along in the I Wish You a Merry Quilt-A-Long. 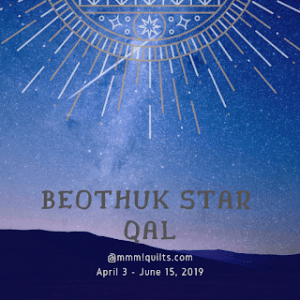 The quilt-a-long (QAL) starts August 1st. 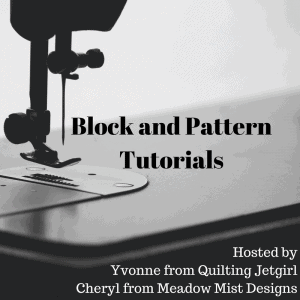 Every other Tuesday, a new FREE 12″ quilt block pattern and tutorial will be released. If you complete the block before the next pattern release, then you will be entered to win some AMAZING prizes! There are bi-weekly prizes and a mega grand prize too! 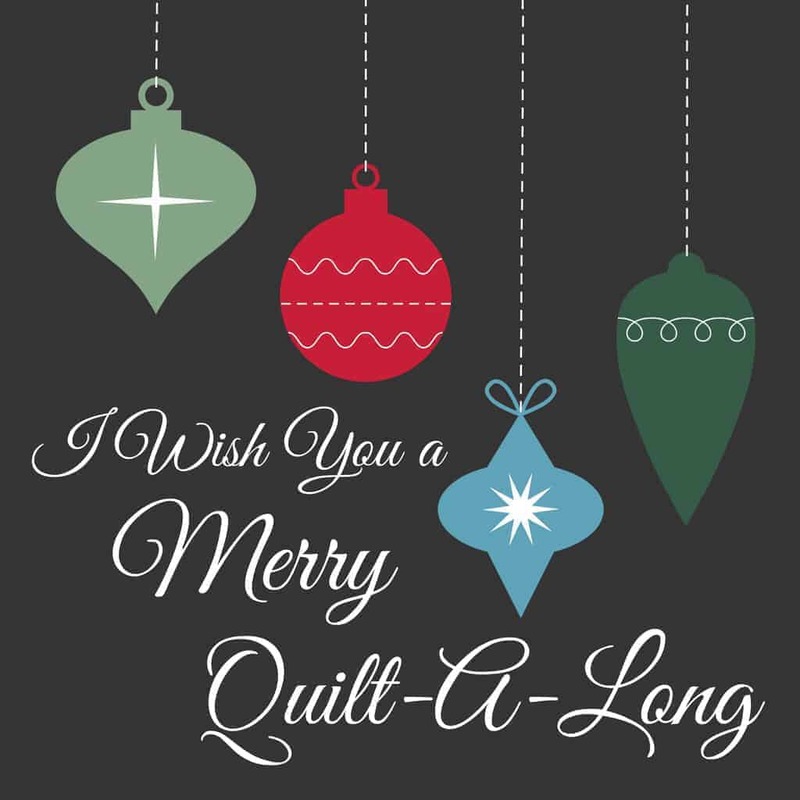 Don’t forget to join the I Wish You a Merry Quilt-A-Long Facebook Group to join the party! Designers will post links to the tutorials there, so that is your best way to not miss a single post! You can also ask questions and post pictures of your blocks as you complete them to be entered to win the prizes! In addition, there are quilt-a-long hosts who will be sewing along and making every block too! They will share tips and tricks for each block, plus you’ll get to see the same block in many different fabrics! These bloggers will be there every step of the way to encourage you to finish the quilt too! Still have questions? I’ve got answers! Who can participate? Anyone, anywhere…. How much fabric do I need? This is hard to say but a 1/2-1 yard of a few Christmas fabrics will do. I would include a light and a dark and then maybe two shades of green and red or teal and red. This is always a good start for a sampler and if you need more you can always add in fat quarters as you go. If you are thinking of a quilt, I suggest 1 yard for sashing and 1 yard for a border. To finish the quilt, you will need 4 yards for backing (or 2 yards of extra-wide backing), a twin size batting, and 1/2 yard for binding. Ok, I want to do it! Now what? Yay!! First, join the Facebook group so you’ll know when each block is released. Second, gather the fabrics you might want to use for your quilt. 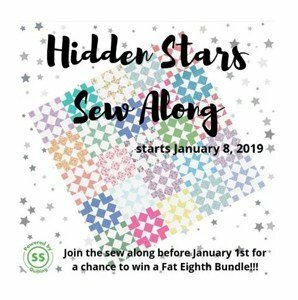 The quilt-a-long starts August 1st! Lastly, invite your friends! Share the quilt-a-long graphic on Instagram and use #iwishyouamerryqal. 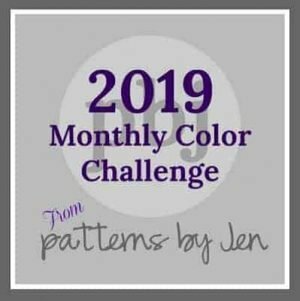 Share this blog post or a post from the Facebook group on your own Facebook account and in your quilty groups. A party’s more fun with friends! I can’t wait to see all your blocks! Previous Post Alewives Row by Row 2016, almost done! Next Post A finish during the season of downsizing! Thank You! I am so appreciative of the connections through the 2017 NQBloggers group and the guidance of you, Beth and Leanne. It's been fun watching the sign ups come in for this! You all are doing a really good job of getting the word out! It's crazy but looks like people are having a lot of fun! I can't quite believe it. Not sure how I missed this post before now! So excited to be part of this Quiltalong, can't wait to see everyone's interpretations of all the blocks! No worries, I try to be good about the 2017 NQBloggers and commenting but it doesn't always happen. As you can see I am a few days behind in replying too! You folks sure have a lot of energy!!! Thanks for doing this! Thank you, Nancy. I have done this with a few of them and I really like it! I have a few more to do/finish in the stash somewhere. Staying off the row by row this summer with the downsizing project!